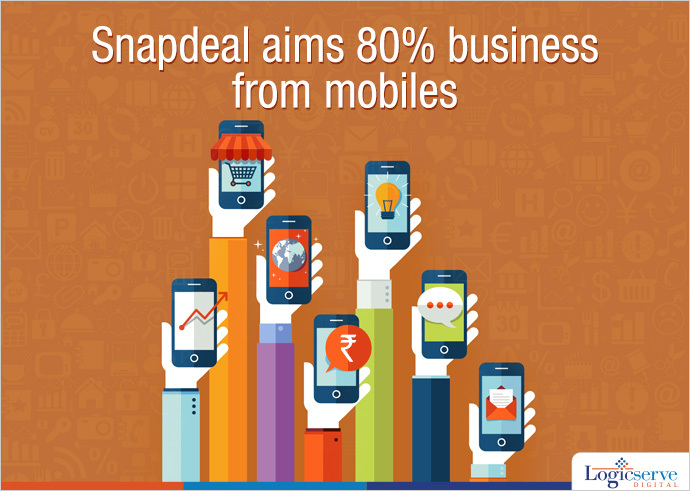 Snapdeal, India’s largest online marketplace, aims to enhance its technology setup with a view to increase its sales by up to 80% through mobile phones. The company will be using a major chunk of the $627 million raised from the Japanese investor, SoftBank for beefing up its technology team. The decision comes in the wake of the reports released by the company that states that nearly 60% of the Snapdeal’s traffic was through mobile phones. Snapdeal, recently set-up an innovation center in Bengaluru and is planning to hire 1,500 tech gurus from around the world. Amitabh Misra, Senior Vice-President (Engineering), Snapdeal, said that the company will achieve its target of 80% growth in traffic through mobile phones despite the fact that the internet penetration is still low in India. The launch of 4G Network in India would give a major boost to the Snapdeal’s target but Misra, who has more than 10 years of experience working at Silicon Valley, said is confident of increasing the sales, irrespective of the launch of 4G Network. In the past year, Snapdeal grossed $2 billion from its merchandise sales and it plans to increase the sales value by $1 Billion more this year. “We will do anything and everything in our capacity to provide best solutions for both buyers as well as sellers.” Misra said.